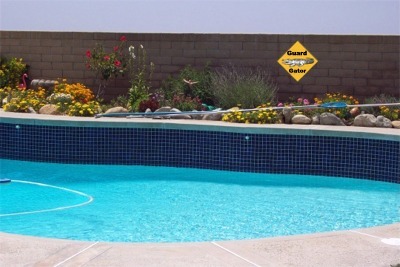 How to keep pesky critters and neighborhood delinquents out of the pool. Wally, Guard Gator. The newest addition to the family. 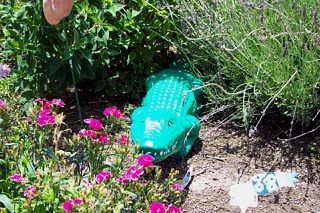 Wally Gator on the prowl. He is very low maintenance and is really very intelligent. We should have gotten a gator a long time ago. To keep him fed I just keep water in the bird bath. Wally does the rest. You are about to become Gator Aide. Look at those teeth. It reminds me to keep mine clean and white also. The pool water is fine. 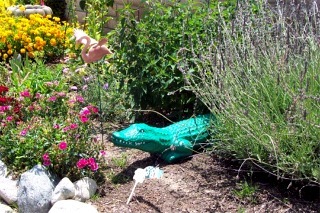 Wally, Guard Gator watches over it for us. Thanks Wally Gator. Oh and when he gets old and slow I understand Gator Tail is pretty tasty!